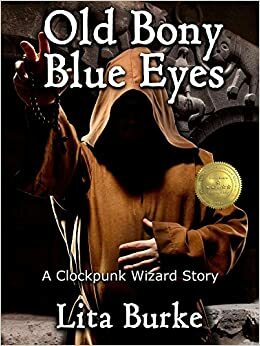 Lita takes Gentle Reader to the world of Clockpunk Wizard today, with an excerpt from her story, Old Bony Blue Eyes. Young Wizard Kadmeion, his assistant Sir Bright, and their three wee fairies are travelling on the wizard’s airship through a region called the Water Pearls. These floating globes of seawater carry marine creatures far above the ocean surface, and the spheres often catch in airship sails. A mermaid’s Water Pearl has tangled in a mooring line on the cabin roof. 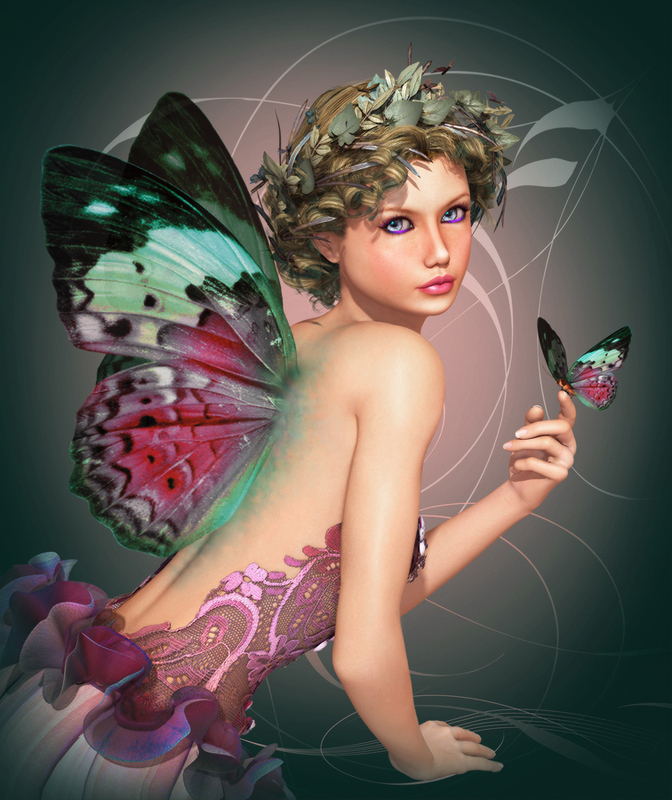 The magic-ravenous mermaid lured the wizard’s fairies near her with a glamour spell. She tried to catch and eat the magic-befuddled fey-folk. Bright heard their cries, intervened, and saved their three tiny shipmates. He then summoned the wizard to join them on the cabin roof. Bright felt the itch of the mermaid’s renewed attraction spell. Izlyesende gasped, pinched the narfleet’s ear, and relaxed when Bright’s natural glamour resistance protected the three fairies. Izlyesende kissed the squeezed spot in apology. Bright’s ear tingled from the fairy’s magic. “Magic too long denied has made us greedy.” She brushed away her floating cloud of white hair, and gave it an impatient glance. Bright’s suggestion earned him a glance, then a nod from the wizard. 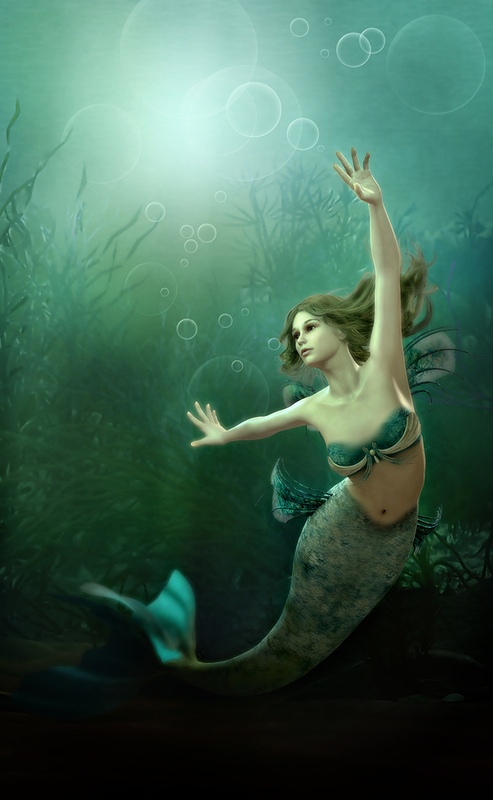 Kadmeion turned back to the fussing mermaid, and sang this spell. Kadmeion lifted his hand and made a delicate swirling motion. 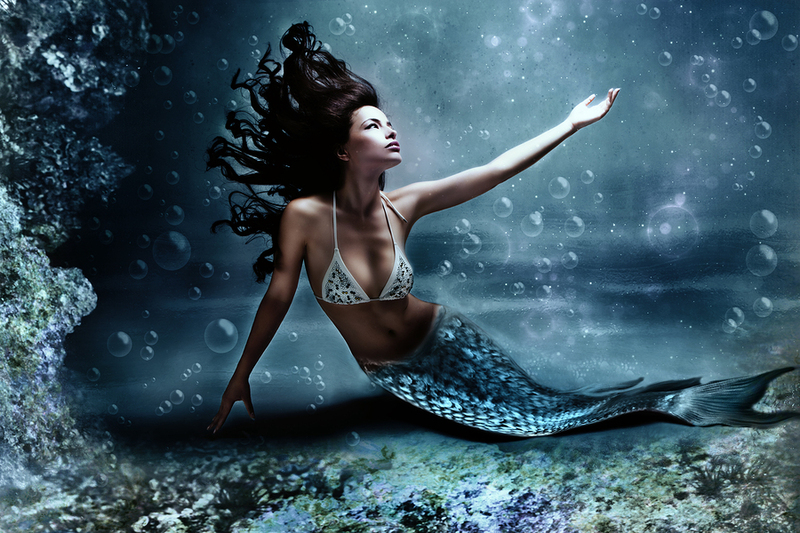 The mermaid’s long hair lifted away from her face, and mimicked the wizard’s hand movement. He made her locks sway and swim to his whim. Kadmeion first twirled the long strands around her slim waist, and spun them atop her head in a confectionary arrangement of braids and sparkling magical bits. By the time he finished the spell, the mermaid’s eyes glowed with pleasure. Her smile was now friendly instead of predatory. This entry was posted in Old Bony Blue Eyes and tagged airships, Amazon, book trailer, books, Burke, clockpunk, Clockpunk Wizard, Ebook, entertainment, fantasy, fantasy novel, fantasy world, fantasy worlds, Indie, lita, Lita Burke, literature, magician, mermaid, Old Bony Blue Eyes, rich fantasy, sentient creatures, steampunk, water pearl, wizard world, writing on April 9, 2015 by Lita Burke.